With more than 25% of all websites globally hosted on WordPress, you can find several such popular websites that are globally accepted by users and are also based on WordPress. When we talk about photography then it becomes crucial for a website design and structure to appeal to the users at first sight; because in photography presentation matters the most. WordPress carries a great collection of premium as well as free photography themes that can help photographers create outstanding website. Below are various WordPress photo gallery themes that you might find useful. 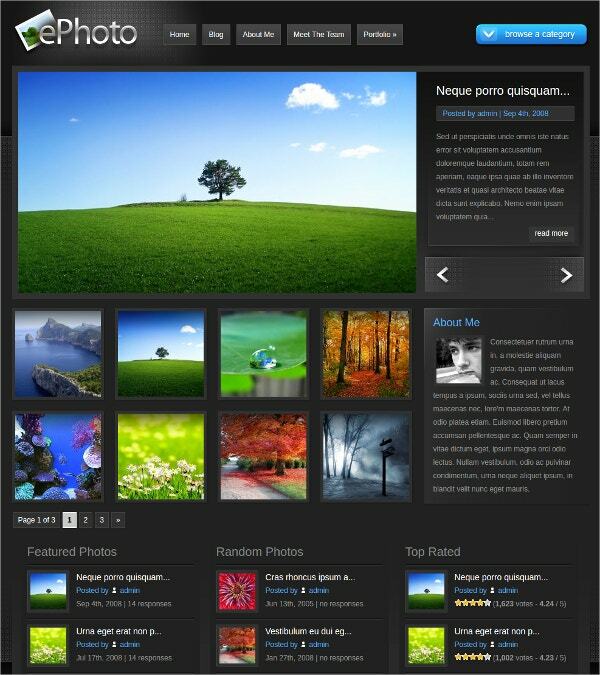 You may also see Photography WordPress Templates. Give your photography service a strong online exposure with this premium WordPress photography theme designed especially for photographers, photography blog and portfolios. This theme comes with a responsive design along with option of adding featured posts, custom colors, header, logo and more. Try this WordPress theme and show off your creativity side. 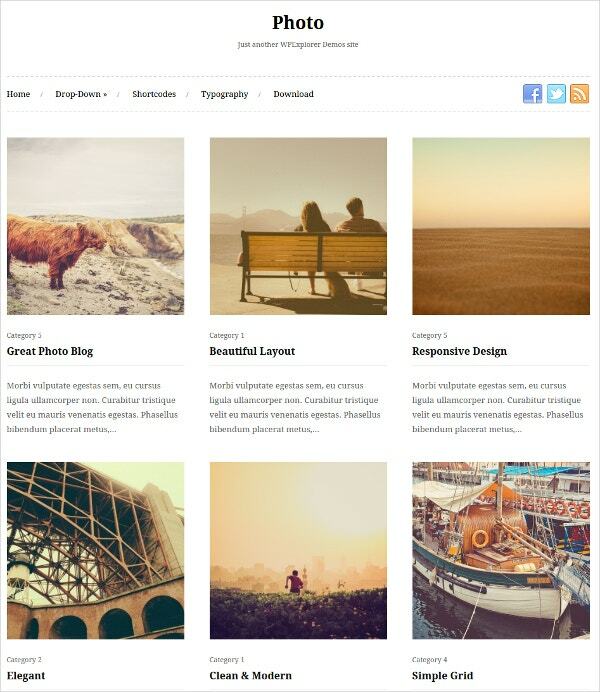 You can also see Photographer WordPress Templates. 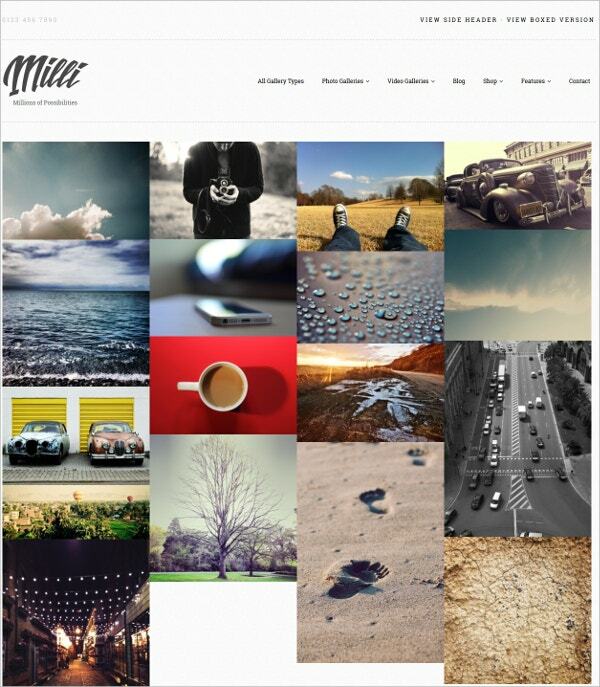 Milli is one of the best photography WordPress theme ideal for photographers, artists, portfolio websites and designers. It comes with countless gallery management and layout controls that makes it quite easy for you to create a professional photo gallery website. Responsive design, custom post types, color options and WooCommerce are some of the features carried by this theme. This is another wonderful responsive photography theme that is also ideal for photo sharing websites, blogs and portfolios. With this elegant theme you can showcase your photography or portfolio in the way liked by your target audience. Responsive layout, custom widgets, custom logo, header etc. are some of its exciting features. Try moon as your photo gallery! This WordPress theme premium is designed for photo gallery websites, photo sharing portals, photography and portfolio websites. This theme carries responsive layout with one click demo install, cool typography, before and after features, WooCommerce support and clean HTML5 coding. Opt this creative photographer gallery WordPress theme and give a solid online exposure to your photography work. This theme is also useful for portfolios, travel blogs, photo blogs and similar websites that need to showcase countless images. Some of its major features are responsive layout, custom widgets, multilingual, theme options and more. 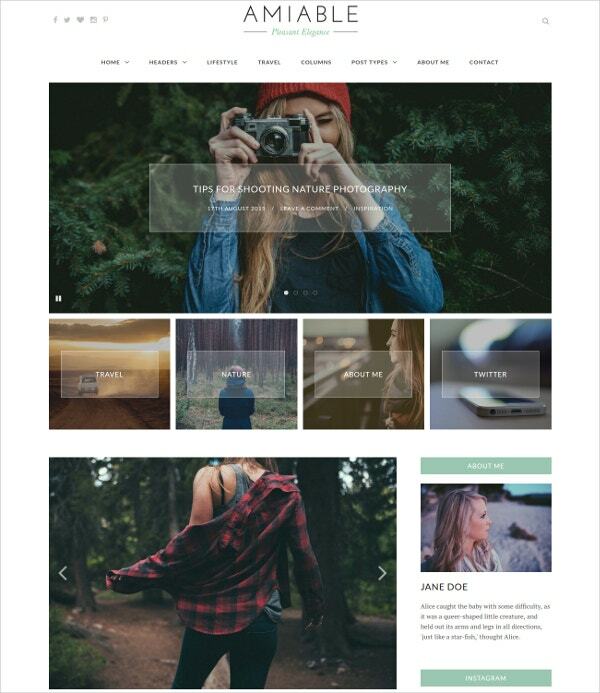 Try J. Doe responsive photography WordPress theme based on AJAX and designed for photography, photo sharing, portfolio and similar. It carries a simple and clean design with full screen image gallery and a wide range of exciting features like responsive layout, audio support, color option tool, AJAX powered page content, gallery management tools and more. Ella is another wonderful WordPress photo gallery theme designed especially for photographers, portfolios and photo sharing portals. This theme comes with a large adaptable home page capable to have multiple page views. The various features of this theme include responsive design, full width gallery, Instagram API, custom gallery, widgets, header and more. Slappy is a wonderful responsive WordPress website dedicated to personal blogs, photography, photo gallery and portfolio websites. This theme is fully customizable and carries a responsive layout with features like 500+ Google fonts, 7 different post formats, cross browser compatible, 40+ shortcodes, social media icons and many more. Try it now. Try Photobox and let your photography work fascinate your target audience. 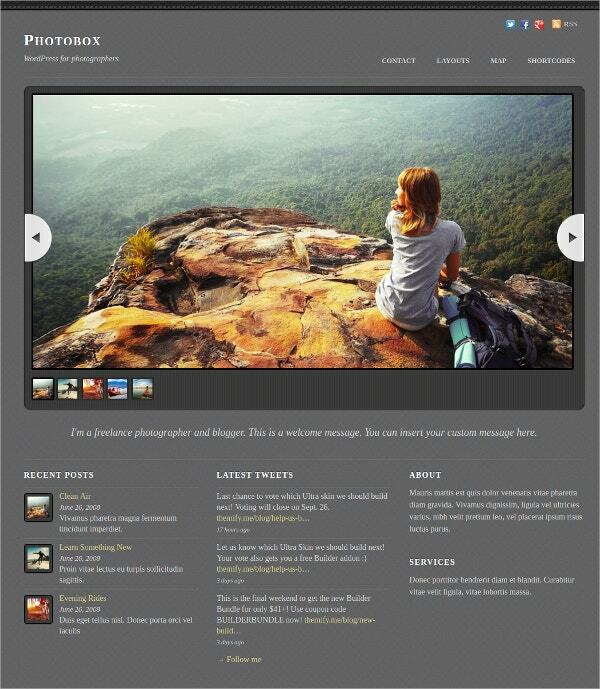 This theme is ideal for photographers, photo sharing portals, photo galleries as well as portfolios. This theme includes multiple layout options like 4 column, 3 column and 2 column etc. 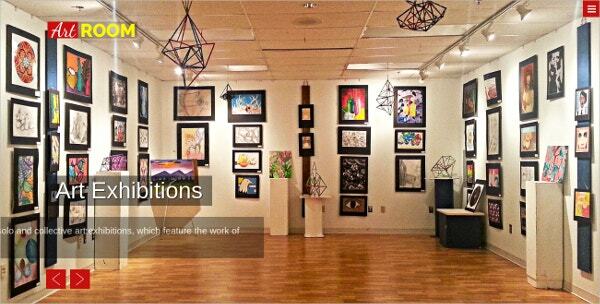 to help you give the desired organization to your gallery. It carries a beautiful, clean responsive design perfect for your making your website stand out. 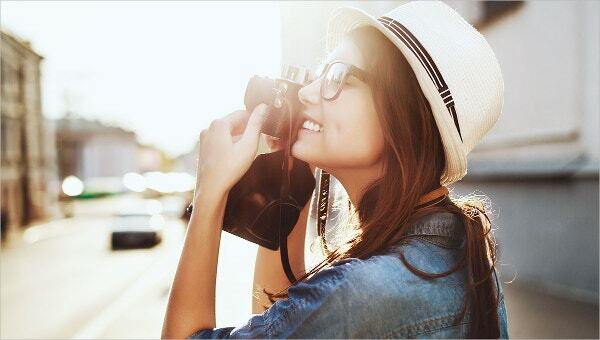 Turn your blog into a fascinating photo gallery with this ePhoto, a highly elegant photo gallery WordPress theme dedicated to photographers, bloggers and more. Besides main gallery page this theme lets you create a separate blog page consisting of normal blog posts. This theme comes with 2 unique color options, unparalleled support, cross browser compatibility and various other exciting features. 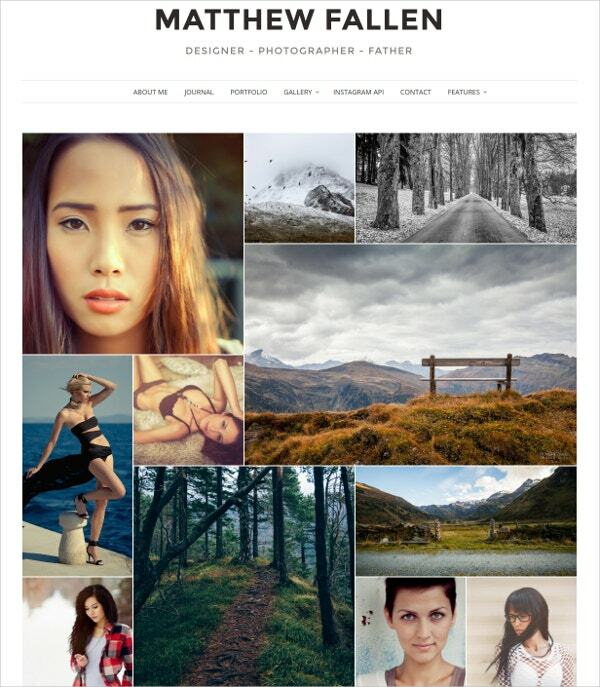 Try this design photographer WordPress gallery theme designed for photography websites, image sharing websites, portfolios and creative artists. This theme comes with a clean and professional design that can help you present your creativity elegantly. It comes with 100% responsive layout along with custom post types, layout options, custom logo, gallery, menu and more. Try Portfolio Gallery as your WordPress portfolio theme and showcase your creative work elegantly to your audience. 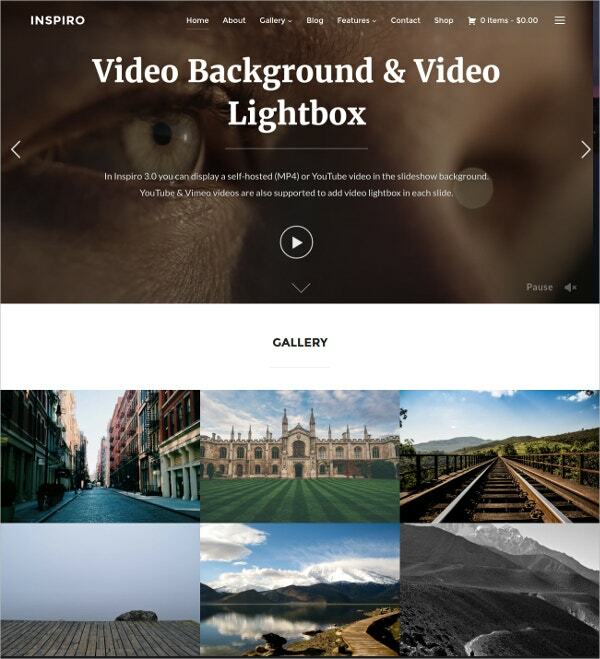 This theme is ideal for portfolios, photography, photo gallery and similar portals. It’s simple, clean and flat design carries features like responsive layout, full screen image slider, retina ready, cross browser compatibility and several more. Amiable is an elegant, modern and stylish WordPress Theme designed for photographers, photo gallery websites as well as bloggers who are enthusiastic about sharing photos and videos through blogging. This theme comes with advanced WordPress customizer along with features like responsive layout, retina ready, cross browser compatibility, translation ready and more. Try ArtRoom as your photography WordPress theme and showcase your artwork, photos, images and even portfolio elegantly. 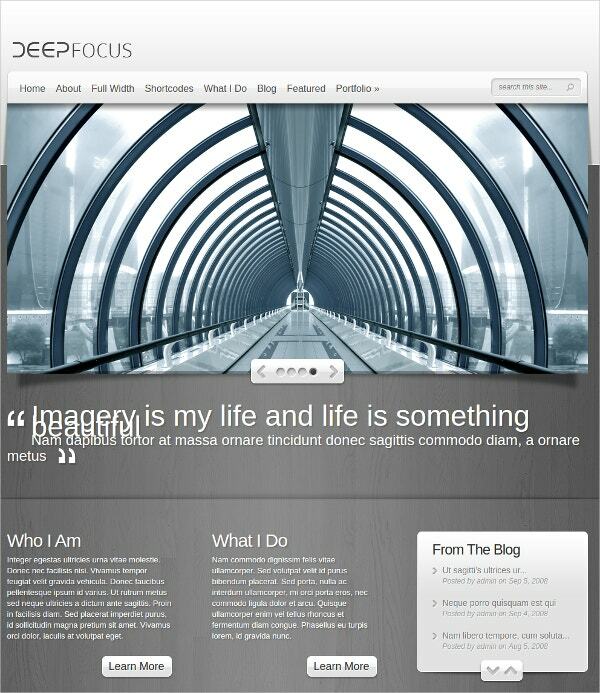 This theme is ideal for museums, designers, photographers, photo sharing sites artists, art exhibitions and more. This theme perfectly organizes your galleries letting you create an art museum and grab exceptional traffic. It comes with 100% responsive layout. Sallino is a beautiful and functional WordPress responsive theme ideal for photographers, portfolios, blogs and photo galleries. This theme comes with 7 different post formats, unlimited image galleries, custom styling, layout, colors, widgets, slider and font, fully responsive layout, unlimited color options and countless more themes. So try this wonderful theme for your photo gallery website and give it a solid exposure. DeepFocus is a photography WordPress theme that comes with a functional photo gallery and thus lets photographers, photo sharing enthusiasts, artists and bloggers showcase their creativity online. This theme also features a blog that carries normal blog posts to serve the passion of bloggers. Get this theme downloaded online today. Photo is a responsive photo gallery theme free download dedicated to photo sharing people, photographers, portfolios and bloggers. 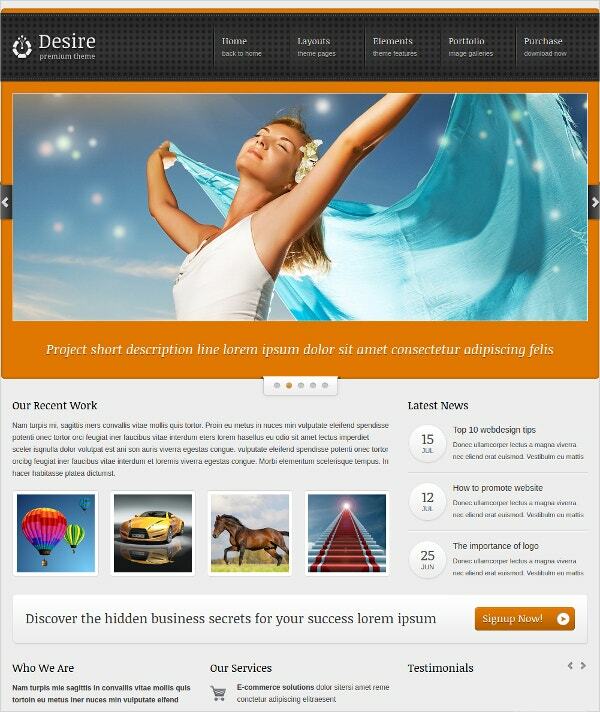 This themes is capable to bring the attention of your target audience with its sleek and clean design. It comes packed with various features like responsive layout, full style posts, social options, shortcodes and more. 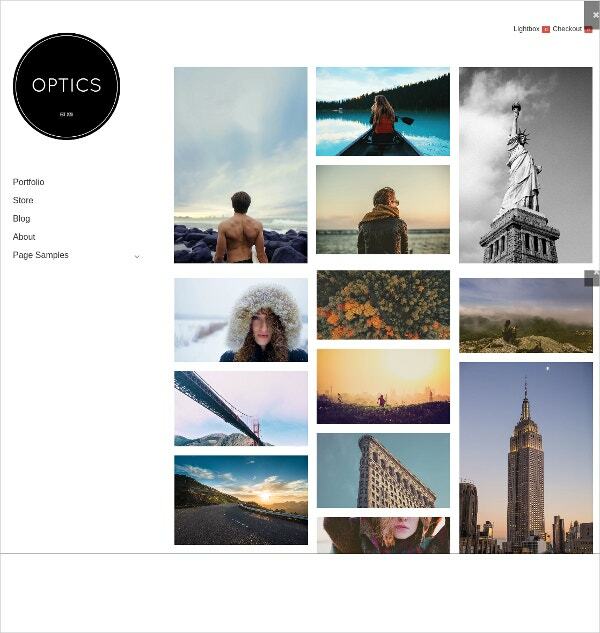 Optics is a free portfolio WordPress theme ideal for photo galleries, photography, art work showcase, graphic and blogs that involve showcasing large number of images. It comes with a fully integrated blog, portfolio, e-commerce store along with features like responsive design, custom widgets, unlimited galleries, mega menu and many more. Try Inspiro and get your photography, photo gallery, graphics and other creative work showcased wonderfully. This photo gallery WordPress theme carries a modern, clean and video focused design that can grab attention of visitors very well thus enhancing your market and visibility over the web. Responsive layout, custom widgets, full screen slideshow, theme options panel and WooCommerce support are some of its key features. Are you looking for a unique and professional theme for your blog or portfolio website? Try Desire and give your work a solid platform. This is a theme dedicated to bloggers, artists, designers, photographers as well as photo sharing enthusiasts. This theme carries a sleek and modern responsive design with powerful CMS functionality and countless features. 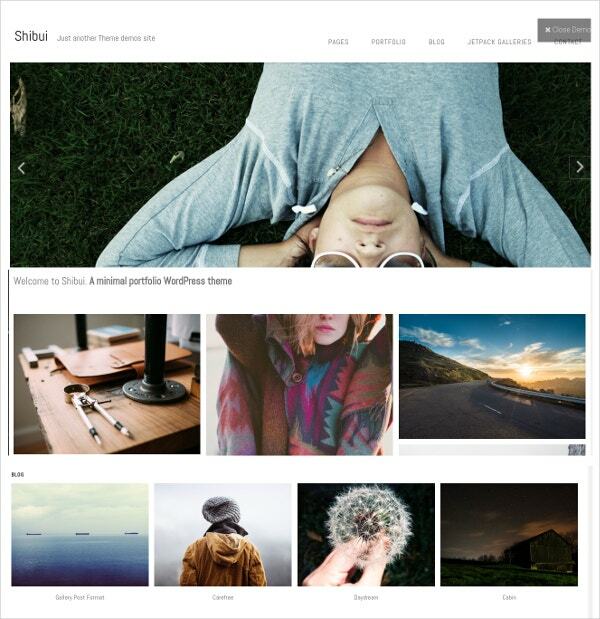 Shibui is wonderful minimalist photo gallery theme from WordPress that is ideal for photographers, photo sharing sites and more. It comes packed with countless features like responsive layout, slideshows, custom widget areas, unlimited galleries, theme customizer, HTML5 markup, translation ready, custom headers and more. Get this theme downloaded for your website. All the above listed WordPress photo gallery themes are known to deliver highly professional and elegant looking websites. By creating professional websites using these themes you can give necessary exposure to your creativity, passion and professional. So get any of these themes downloaded for your website and enjoy competitive advantage on the web. You may also see Photography Blog Templates.